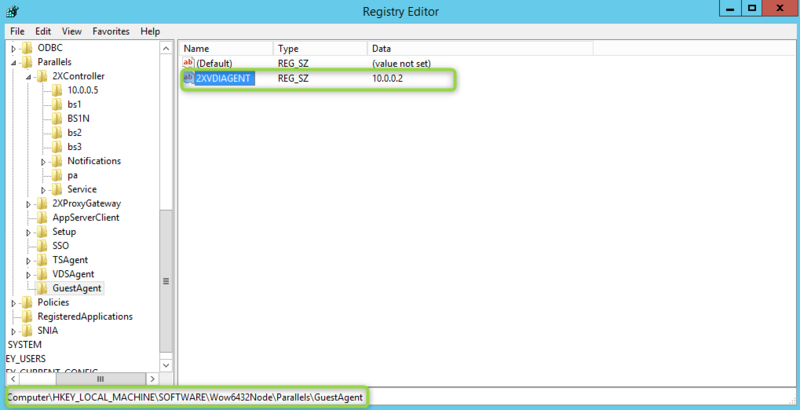 The Guest Agent discovers the VDI Agent by sending broadcast packets over UDP port 30006 to all devices in it's subnet. The discovery packet won't be received If the agents are on different broadcast domains. In this case we support specifying the VDI Agent's IP through the registry. Set the value to the VDI Agent's IP adress. This will cause the Guest Agent to connect to the VDI Agent directly.